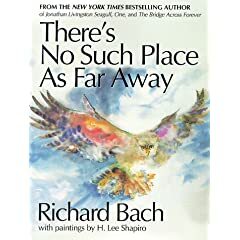 There is No Such Place as Far Away is one of my all-time favourite books. It is a beautiful and timeless keepsake for both adults and kids alike. The author is Richard Bach, who wrote Love Story. With beautiful water-colour illustrations throughout, this powerful story chronicles a spiritual journey through storms and mountains, to attend the birthday party of Rae Hansen, a five-year-old girl. The message is that if you want to be with someone who is important to you, you are already there. This book is a great gift for a child or adult who is moving away. It really shows how there is no such place as far away when you are friends. Posted in Book of the Week (ish), Gifts. The Boy gets stuck on certain books…so much so that every year, our theme for his birthday cake is based on the “book of the year”…the one we had to read a zillion times over. This year’s favourite was The Very Hungry Caterpillar by Eric Carle. A simple and beautiful introduction to the magic of the metamorphosis from egg to caterpillar and butterfly. The story also teaches counting to 5, the days of the week, and about different types of food. The book is beautiful in it’s original version with gorgeous illustrations. Then comes the pop-up version. So vibrant that The Boy’s eyes nearly popped out of his head and so did mine. Highly recommended but to be given to a child who is mature enough not to tear the book apart. Posted in Book of the Week (ish). Chrysanthemum has an unusual name but she thinks it’s perfect…until the first day of school. She is teased about her name and even though her doting parents try to instill confidence in her, the next day of school is dreaded. This heartfelt story is one that every child will relate to. It can spark the beginning of many important conversations between you and your little one about teasing, bullying and what goes on at school when mom and dad are not around to defend. Chrysanthemum is appropriate for ages 4-8. It is a wonderful story about names, identity and self-confidence. One of my very favourites! Soft-cover available at Indigo or Mastermind for $9.25. Posted in Book of the Week (ish), Cool Products.